Jakarta (Djakarta) lies on the north-west coast of the island of Java. 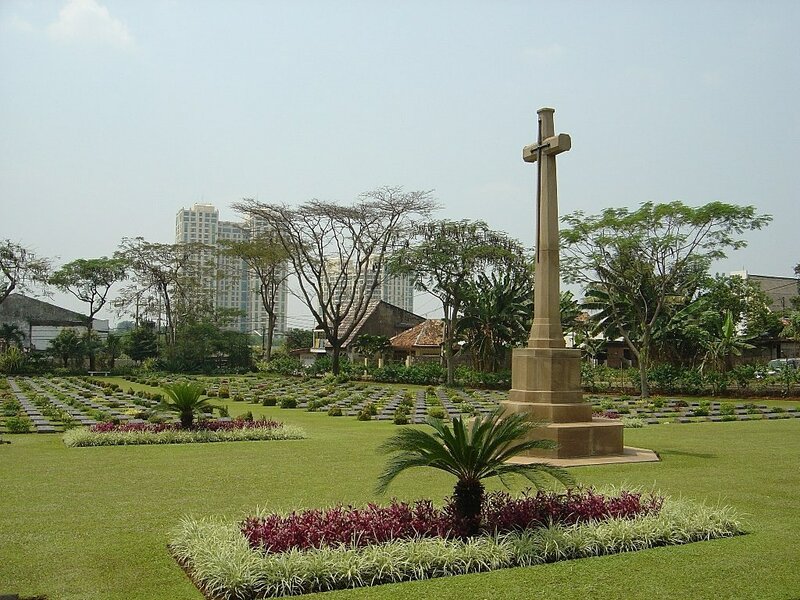 Jakarta War Cemetery is in the suburb of Menteng Pulo, 11 kilometres from the city centre and is adjacent to the Netherlands Field of Honour, Jakarta Selatan (South Jakarta). It can be reached by two main roads - Jalan Dr Saharjo and Jalan Casablanca. 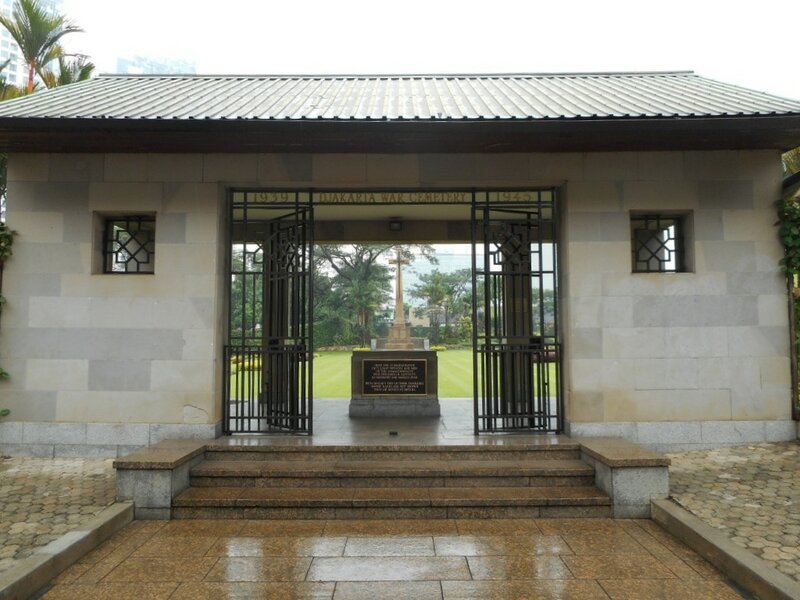 The Cemetery can be entered on the northern side by a short flight of steps leading into the Memorial building. The gates are kept locked to prevent undesireable behaviour but the staff will unlock them for visitors between 08:00-17:00 Monday-Friday. Access can also be gained through the Jakarta (Menteng Poeloe) Netherlands Field of Honour adjacent to the War Cemetery. The entrance faces the old civilian cemetery where hawkers from the local market often spill out, partly blocking access to the cemetery. 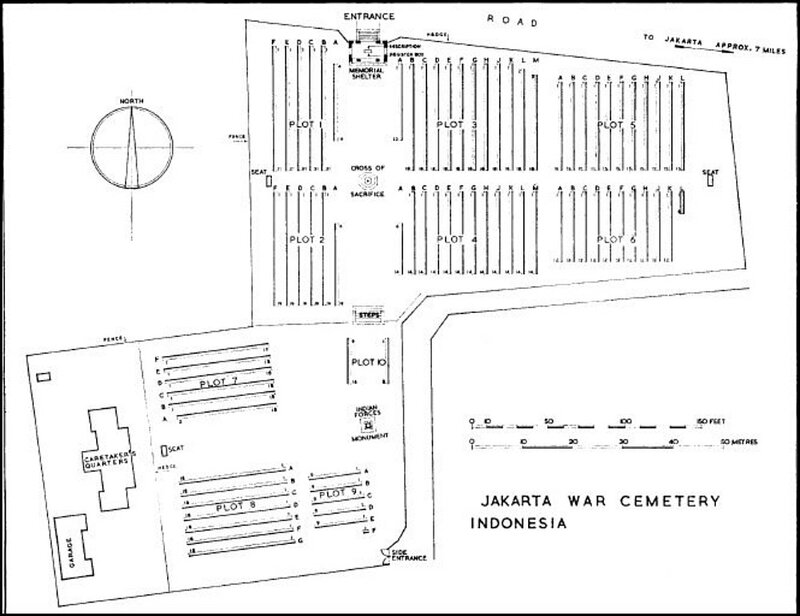 The local name for the cemetery is Makam Perang Jakarta. 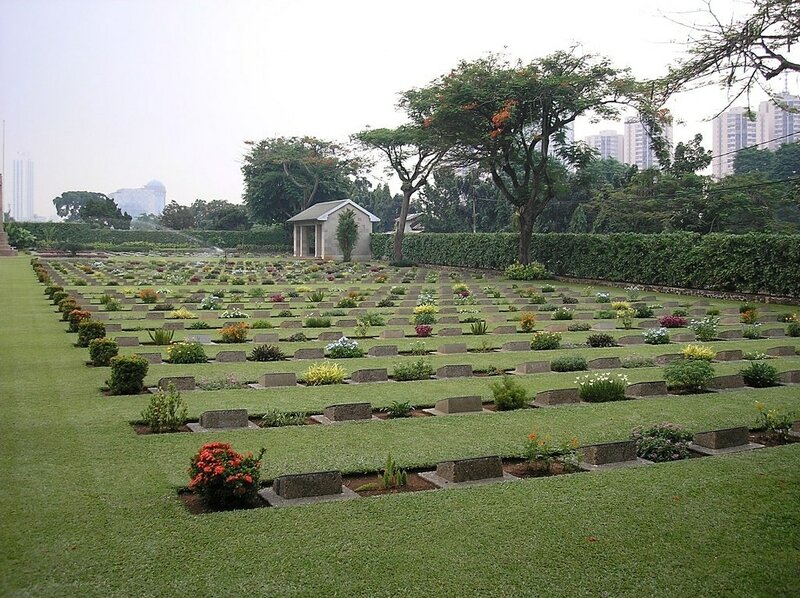 Members of the public are advised that in order to facilitate necessary conservation works at Jakarta War Cemetery, the main entrance building will be closed until 1st May 2017. The cemetery remains open to the public as normal and alternative pedestrian access is provided. Jakarta, the capital of the Republic of Indonesia, lies on the north-west coast of the island of Java. It was the administrative capital of the former Netherlands East Indies and was known as Batavia, the name used in the records of the 1939-1945 War. Batavia was the port by which thousands of British and Commonwealth servicemen entered Java in February 1942 from Singapore and Sumatra, shortly before the Japanese invasion of the island. It was defended by Nos. 232 and 605 (Fighter) Squadrons from Tjililitan airfield, a few miles distant. Although greatly outnumbered and dwindling in strength, the fighters remained in action in defence of the capital from 17th-27th February. The 77th Heavy Anti-Aircraft Regiment was also employed in Batavia's defence. On 25th February H.M.S. Exeter, Electra, Encounter and Jupiter and H.M.A.S Perth sailed from Batavia to join the Eastern Striking Force at Sourabaya before meeting the Japanese in the Battle of the Java Sea. On 1st March the Japanese landed near Batavia, by the 4th the Dutch had ordered its evacuation, and on the 5th the Japanese occupied the town. 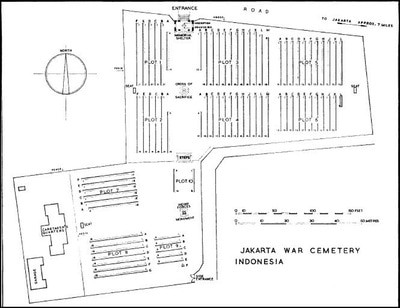 Most of the Allied prisoners of war captured in Java were later concentrated in a number of prison camps around Batavia, one of the largest being "Bicycle Camp", so named because it had been the barracks of a Dutch cycle battalion. The camp held among its first prisoners 300 survivors of H.M.A.S. Perth, and 250 soldiers of the 2/15th Punjab Regiment who had fought in Borneo. 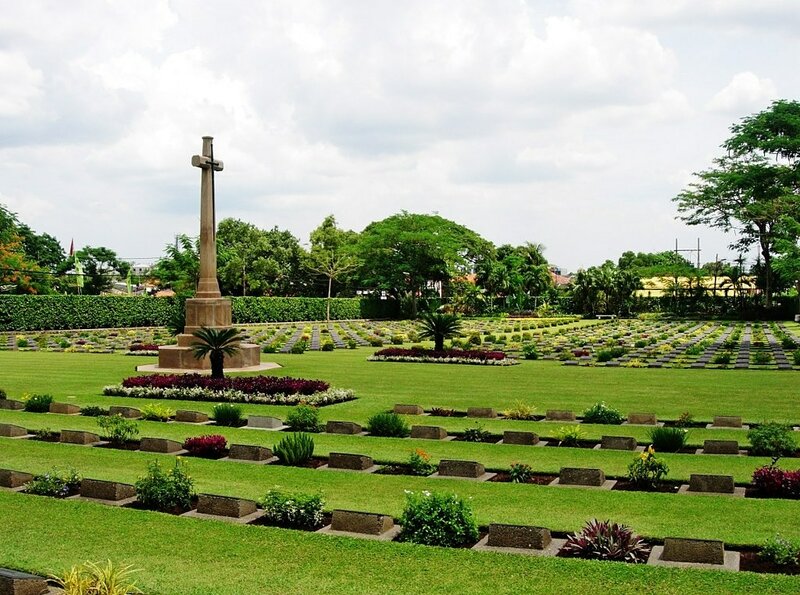 In 1961 at the request of the Indonesian Government, the Commonwealth dead from the Netherlands Field of Honour at Sourabaya, and from those at Palembang, Medan and Muntok in Sumatra, were brought into the cemetery, which already contained 474 Commonwealth war graves. Additional land was acquired to accommodate all the graves, and the total number of burials was increased to over 1,000. Jakarta War Cemetery therefore contains the graves of many who died in defence of Java and Sumatra during the swift Japanese advance in 1942 and many others who perished afterwards as prisoners of war. 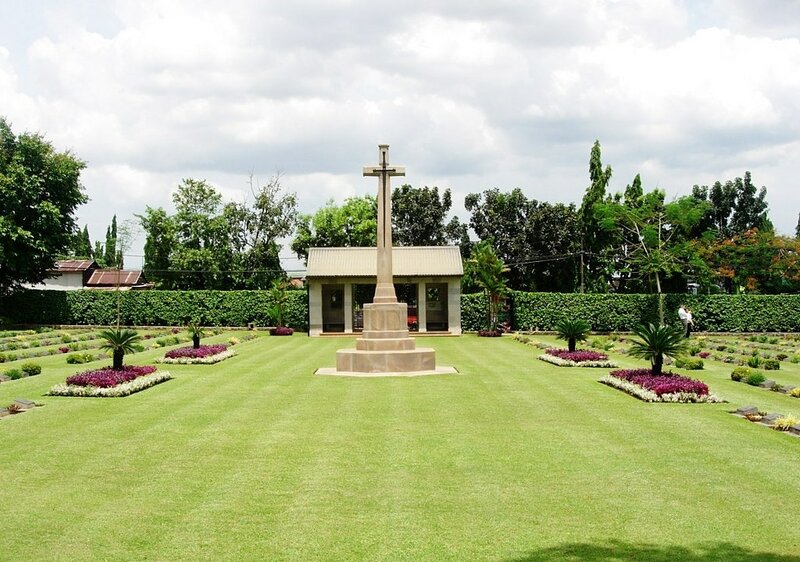 Among the dead were sailors who fought in the Battle of the Java Sea, soldiers of "Blackforce" including a number of Australians whose graves lie together in plot 6, and airmen who died in flying battle and airfield defence. The cemetery is entered on its northern side by a short flight of steps leading into a memorial building. 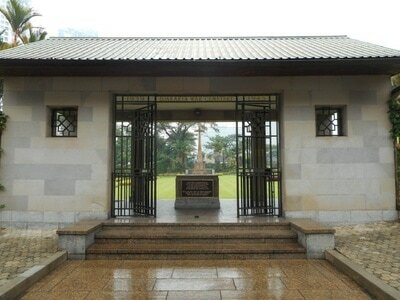 This contains bronze plaques which contain the names of the 58 identified officers and men who now lie buried at Ancol. Two main grass avenues cross the site, one running north-south and one east-west, and the Cross of Sacrifice stands at their intersection. The graves of members of the forces of undivided India lie on a terrace in the southern part of the cemetery. Here an Indian Forces monument has been set up; it is a stone pillar crowned by a sculptured wreath and bearing wreaths on two sides, with "INDIA" inscribed below one and "PAKISTAN" below the other. The graves are marked by bronze plaques set in concrete pedestals. 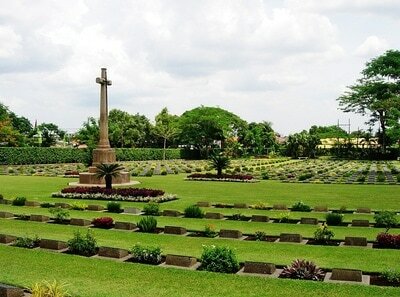 The cemetery is covered with turf and planted with many colourful sub-tropical trees and shrubs.